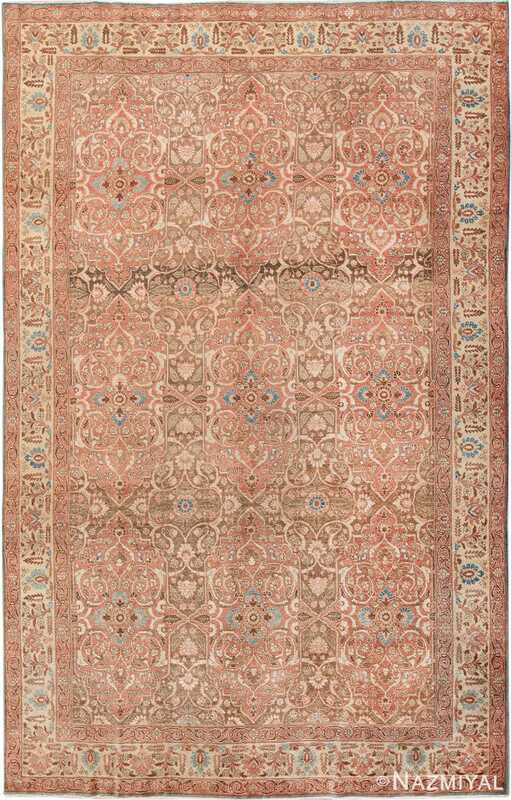 Antique Persian Tabriz Rug, Country of Origin: Persia, Circa Date: 1920– This antique Persian rug features a staggered pattern of white daisies alternating by row with two styles of dark brown blossoms. A pallid blue shade haloes the flowers like an echo, creating a subtly intricate backdrop for the simple, straightforward floral figures. 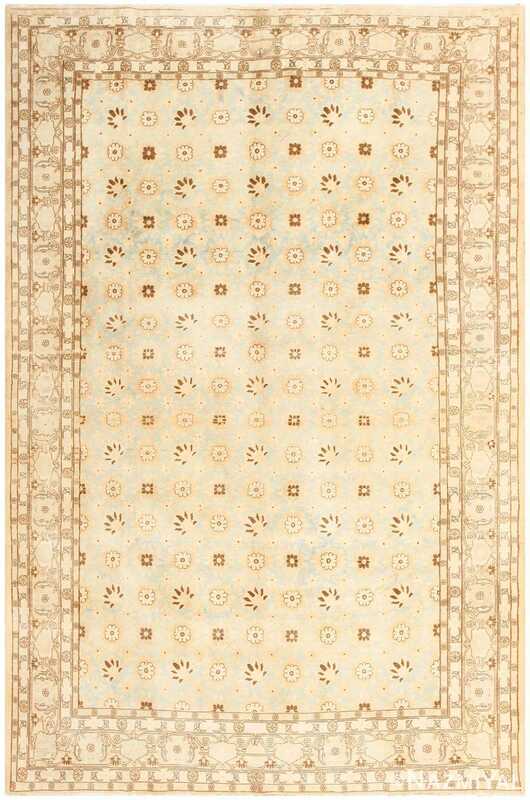 Pale white and yellow vines and petals surround the dominating, darker pattern, nearly melting into the light blue on this antique rug. A slim band filled with minimalistic daisies surrounds the central, rectangular field, leading into three wider borders. 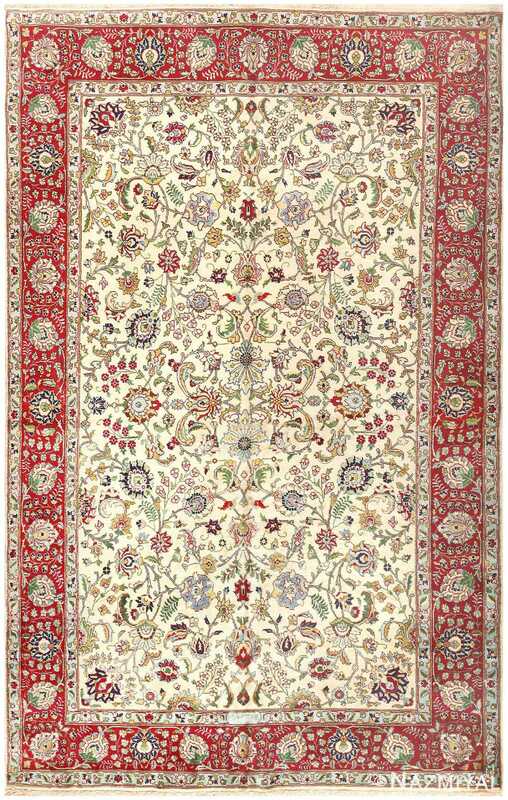 The widest contains ornate brown-stitched decorations that each cradle a sunny aura of faded yellow and blue flowers. 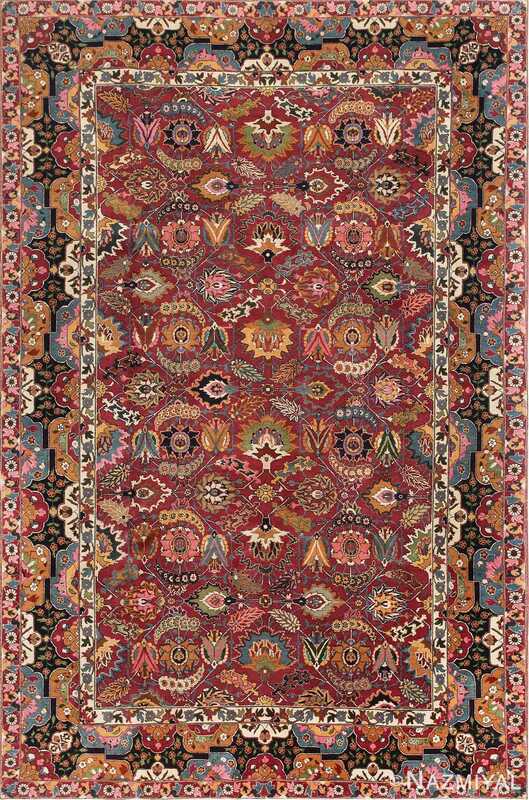 The final edging for the Tabriz rug is another bar of diminutive daisies.